When Barry (Grant Gustin) and the team find out Captain Cold (guest star Wentworth Miller) has been kidnapped, they form an uneasy alliance with his sister, Lisa (guest star Peyton List). However, Barry feels double-crossed when he finds out Snart is working with his father, Lewis Snart (guest star Michael Ironside) on a heist. Meanwhile, Joe (Jesse L. Martin) is faced with a difficult decision. John Showalter directed the episode written by Julian Meiojas & Katherine Walczak. I thought about putting this thread up yesterday, but we haven't gotten a trailer specific to 2x01 like Arrow did for their premiere episode. Unless we get one, that promo will have to do. Thanks for opening! Deleted the quote tag from your post. I tried searching too last night. No luck. Every promo was a look at the entire season in general. Closest was the one with Jay but he comes in episode 2. Lol yer i dont think they showed just episode 1 its just a general season outline. .
For each week, did you have in mind for us to keep to this one thread and just change the title for each episode? That's what we will do now over at the SA board because each week the discussion threads don't get a ton of posts. 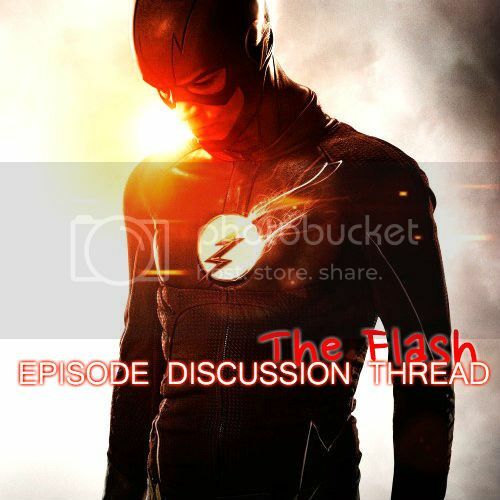 We can edit the OP with the current episode and make a post to separate the current episode from the last episode. Does that make sense? Hope so! 2 more days! 3 if counting today as a day. CW released a better promo for the premiere! Going to replace the one in the OP. So happy it's back tomorrow! Oh Barry wanting to get an apartment with his daddy and the speech his father gives him "Central City don't need you to be Henry Allen's son; they need you to be the Flash"
Henry you had one job! One job! 1!